You are here: Home / Saas / How To Replace A Word In Google Docs? How To Replace A Word In Google Docs? Working in Google Docs is a great way to save your time and effort. Whether you misspell or want to replace a word, you can do it quickly by following simple steps. In case, you spot a mistake later on and want to replace a word in the document. Here I’ve explained how to replace a word in Google Docs. With the helpful feature of spell checker, Google Docs marks a red line underneath those words that are making errors in your sentence. There is no need to use your personal dictionary as a spell checker. Once you see red line underneath those words that are misspelled or not present in its dictionary, you can correct it. If the written word is correct in another way, you can add it to the Docs’ dictionary. It will not show error again for the repetition of the same word. At the time of proofreading if you found a mistake or misspelling of word multiple times, you have to replace words in Google Docs. As you can see in the example, it has replaced 5 instances of the search word. Once you are ended to it, you have to click on ‘Done’. 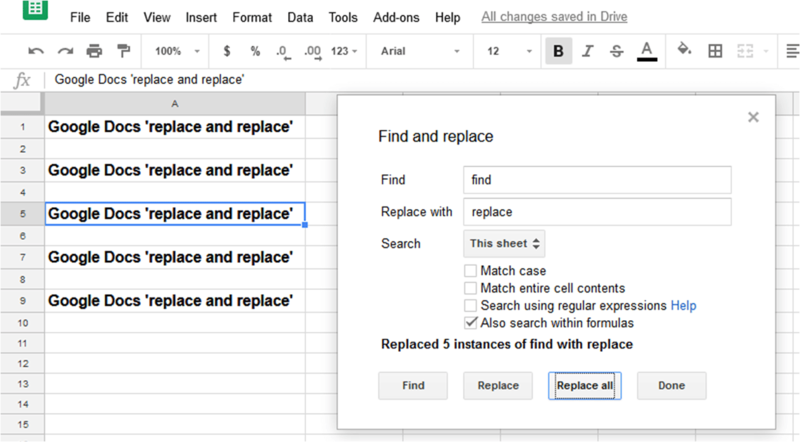 Well, this method of ‘find and replace in docs’ is also applicable for ‘find and replace in Google presentations. At first, you have to open slides and follow the above-explained steps of ‘how to replace in Google Docs’. 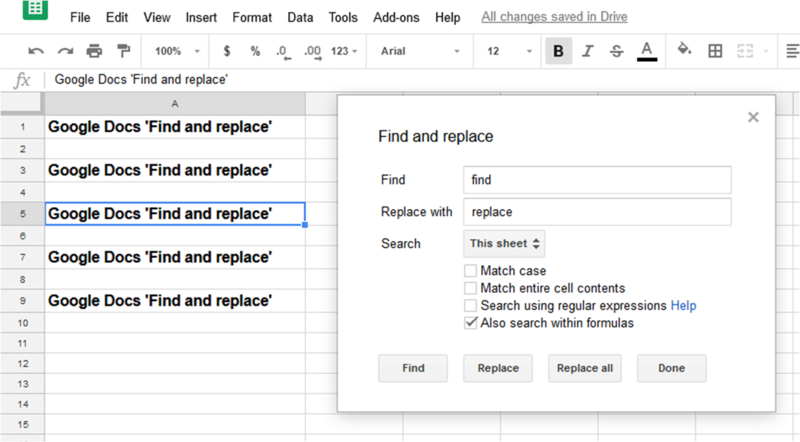 If you are looking for a keyboard shortcut for ‘how to do find and replace in Google Docs’, you can press ‘Ctrl + H’ to open the ‘Find and replace’ dialog box. And, the rest of steps will be the same. 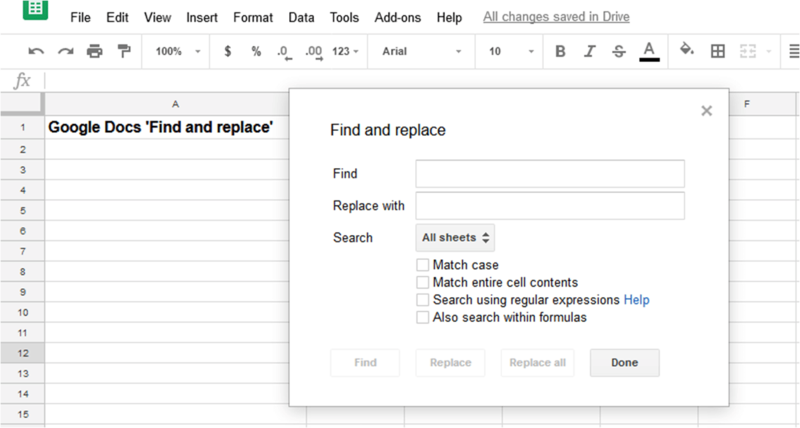 Google Docs provides you with an option for finding and replacing characters and words using a set of steps. It helps you in controlling your works without creating any mess. Hope these steps have solved your query on ‘how to replace a word in Google Docs’. For any other queries or suggestions, you are free to comment on the below box.